Decluttering is not an exercise in cleaning, or even organzation. 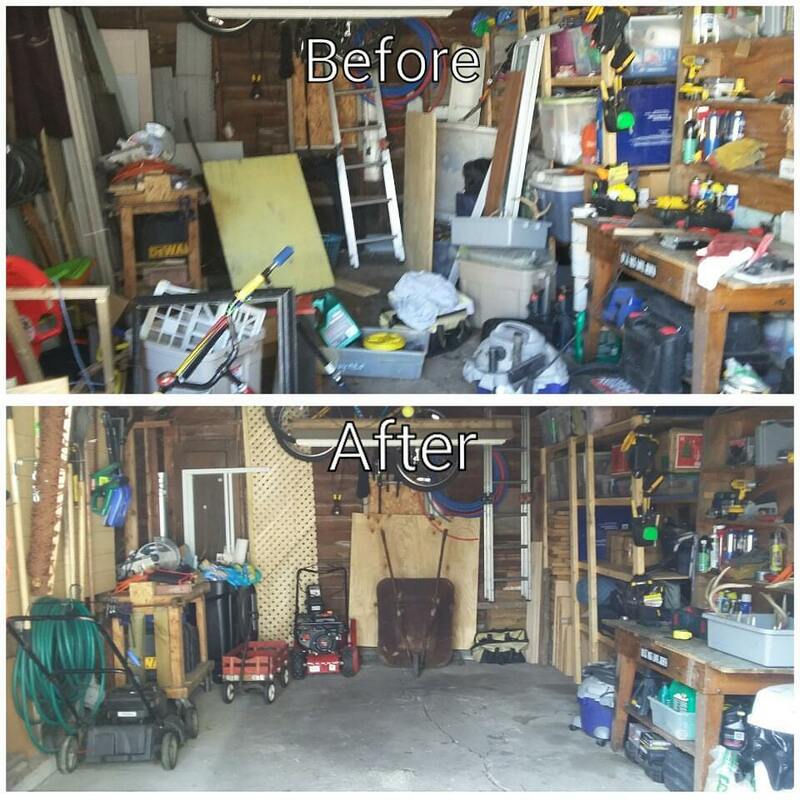 If you go into decluttering process treating as such, you may not have the success you want. 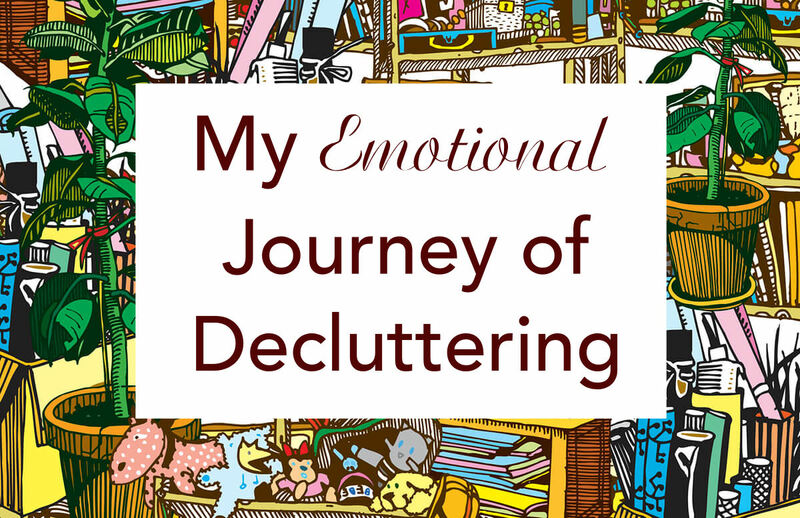 Decluttering is emotional journey; a walk through memories, an assessment of priorities, and readjustment of want versus need. This journey has taught me that stuff wasn't just stuff; every item in my life has power to affect my mood and life. Marie Kondo, a guru of decluttering, believes everything in your house should give you joy. I had actually never heard of Marie Kondo, or read her book, until she was mentioned in a Gilmore Girls Revival episode, and I was already knee deep and several years into in this journey of decluttering, which began in 2015 for me. 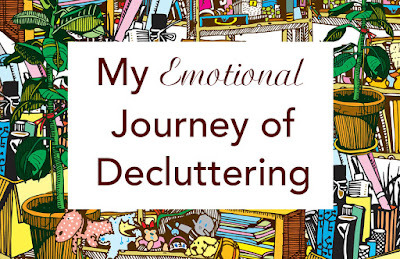 I still have yet to read a book on decluttering, but I have learned a lot through experience. Now fast forward several years. We had struggled to make ends meet for so long at the beginning, I never said no to anything given to us; including hand-me-downs, giant pieces of furniture (headboards, entertainment centers, etc), and old school tube TVs. We had no money to buy anything new, so second items gave me the illusion of security. In reality, they added to my anxiety and discontentment in our small house. The real push to change came with a gifted Willow Tree Nativity Set. It was a very expensive full set that my estranged mother had given me years before. It was worth hundreds of dollars, and my husband and kids loved it, but I always felt a little odd bringing out a gift given to me by someone who had abused me for years. It truly was beautiful, so I brought it out the first few years of my kids' lives, then slowly stopped bringing all the pieces out each year , claiming there wasn't enough room to set it up....then it stayed in storage three Christmas seasons because I couldn't bare to have it in my house. I still don't know why it took so long for me to finally see this set as something other than decor out of our price range that we could never financially replace, but after years, I saw it for what it was. It didn't bring me joy, it brought me painful memories. Once I finally decided that my feelings were more important than the supposed value of this set, I finally had the courage to give it away. In the end, God gave me a very clear direction for a specific person who needed the encouragement of the set. The weight I felt lift when that set left my house was AMAZING. The joy of seeing the other person enjoying the set replaced all those years of negative association. Now when I see a Willow Tree Nativity, it reminds me of when God transformed my hurt into joy. The process of getting rid of the Nativity made me examine WHY I owned each item in my house. "WHAT IS MY TRUE MOTIVATION FOR KEEPING THIS?" Was it a gift I feel guilty getting rid of? Is it's monetary value too big that I'm afraid to get rid of it? Am I storing for a future life (different house, different body, etc) that doesn't exist? This new examination of my motivation meant purging things I was storing out of guilt or obligation. Slowly, but surely, I began to get rid of anything that wasn't kept for pure motives. It wasn't overnight, but this first step gave me permission to make a big change in my life. My people-pleasing tendencies mean that guilt was a big motivator in my life, and this guilt was tangible by piling up stuff in my house! I had four giant Pie fancy dish/displays given as wedding gifts, and had never baked a pie in my life. I had 14 sheet sets, because I kept receiving them as Christmas gifts from family. Two/thirds were uncomfortable or ugly, and I never put on my bed. I sold the big dining room table I was storing in my basement for my "dream home", because it was keeping me from enjoying my present home. We turned that new found space into a basement movie theater area. Once I got rolling, I finally had the courage to I donate clothes I had been given, or ill-fitting clothes I bought at garage sales, but felt ugly in. I gave myself to permission to buy clothes I actually feel good wearing. Now I have less clothes, but I like how I feel good in all of them. 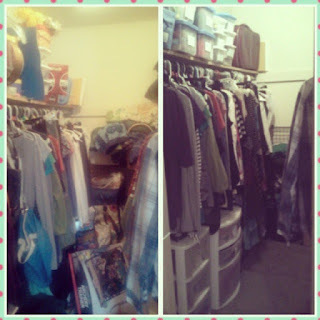 Decluttering wasn't just tidying up, it is a practice in courage and being true to myself. This is where I must urge you to pray, or bring a friend alongside you when you begin decluttering. If you plan to purge photos, bring a friend. If you plan to purge your kid's baby clothes, bring a friend. It will bring up emotions you may not expect, but need to be dealt with. The feelings may not be guilt like me, but fear for the future, or a myriad of other things we attach to our stuff. The other side is beautiful, keep going, but don't go alone. It took me almost a year and half to get rid of the equivalent of seven full van loads (all seats down and stacked to the top) of stuff. After the nativity set, I decluttered ONE DRAWER AT A TIME. DO NOT try to declutter a whole room at a time. I would do my jewelry box one day, and my sock drawer the next. I now love my little house again, and everything it in is useful or brings me joy. Good Luck if you are beginning this journey. Take your time, start small, and don't go alone. Give yourself permission to put yourself before your stuff. Thanks for sharing. I am, by nature, not emotionally attached to things. 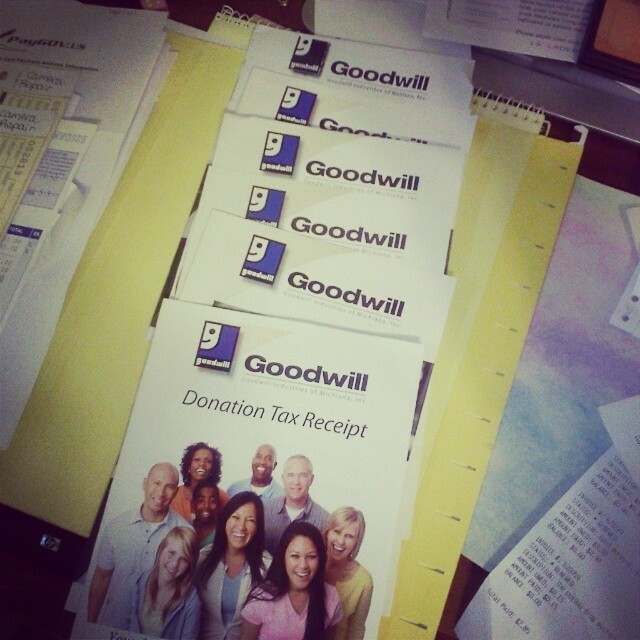 "Getting rid" is easy for me. This reminds me that is absolutely not that way for everyone and when in conversation with someone else about this topic, a listening ear and gentle encouragement will go a long way. Thank you Sarah, that means a lot to me. I love to learn how we are all different, and our differences help us encourage other. I think it's great that people are aware of the emotional attachment to things, and why they should be kept. But also good to see that people should still question and analyze said attachment. Wonderful post. Thanks for sharing.